Pricing for Nokia Lumia 920 in Hong Kong revealed? The recently announced Nokia Lumia 920 is set to be priced in Hong Kong at just HK$3,900 (approx. $500 / £300), according to a report over at WeloveWP.hk. Consumers will also be able to pick up the new Windows Phone with a Wireless Charging Base and a Bluetooth headset for just HK$4,399 (approx. $570 / £350), which would aggressively compete with the HTC 8X that has been priced at just £399 including VAT (approx. $650) at a UK retailer. The price conversions from Hong Kong Dollars would be before VAT is added on, so we'd be looking at around about the same as the potential HTC 8X tag for the Lumia 920 once it reaches UK shores. No official word has come from Nokia (or HTC) regarding pricing, so we should of course take this with a cup of salt, but we can see Nokia pricing their new hardware to undercut both HTC and Samsung. This would almost fit in with Lumia 800 pricing when the Windows Phone was released last November. Alas, it's always fun to speculate and have our dreams taken to new heights with great deals, right? 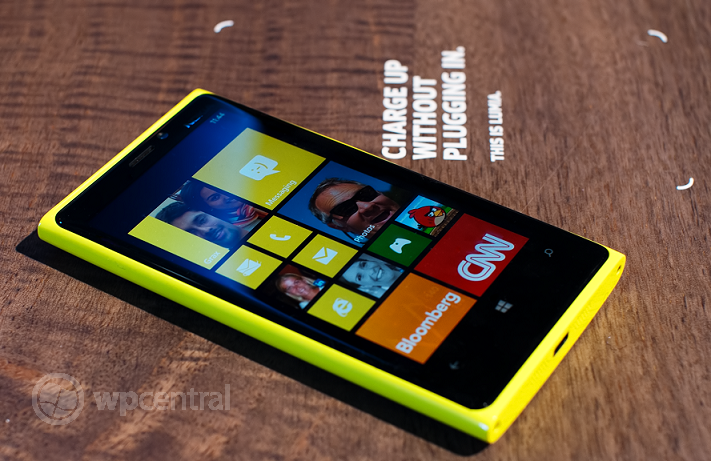 How much would you be looking to pay for both the Lumia 920 and 820 SIM-free?